There is less than a week away from Christmas, and you might be like me, and scrambling to get all your presents taken care of. I am a tech girl, and I love to head to Best Buy for last minute gifts, whether in Anchorage or in Phoenix. With Expert Service and Unbeatable Price these top gifts should be on your list this Holiday season. Xbox One is What Gamers Love. 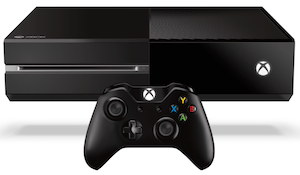 Xbox One was built by gamers, for gamers – I have heard from my gamer friends that this is their fave gaming system! In addition to being a great gaming console, Xbox one connects consumers unlike any other device. Xbox One enables access to the latest TV shows and movies through your favorite apps – which is what I would want it for. I love to stream media!! With Xbox One all of your media is at your fingertips when you want it. That to me, is priceless. Last year at CES I was able to see Linkin Park as a guest of JBL – the sound coming out of those speakers was completely amazing. It made me stand up and take notice of JBL and was pleasantly surprised by all the new speakers they had out on the consumer side. 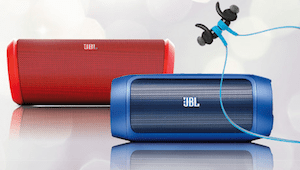 JBL Charge 2. Between the twin passive radiators for deep bass, the massive 6000mAh battery and the hands-free conference speakerphone the key benefit is the Bluetooth Social Mode which allows up to three different users to take their turns to play their own playlists on a single speaker. JBL Flip 2. Aside from the dual performance-tuned JBL drivers and a built-in bass port, the key benefit of the JBL Flip 2 is the SoundClear echo and noise cancellation combined with the state-of the art microphone system to pick up calls on the speaker. I am the epic Road Trip Warrior with being a full-time traveler for 21 months now. I’ve been looking at Garmin and TomTom device for awhile. 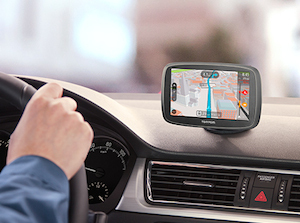 Featuring bluetooth connectivity for hands-free calling, traffic and weather updates, plus it has lane assist, lifetime traffic and map updates. Voice Recognition Technology. Check out Best Buy’s Countdown to Black Friday. New Deals everyday before the big shopping weekend.